ADHD is a common disorder, often treated either with stimulants, like Ritalin (methylphenidate) and Adderall, or Strattera. 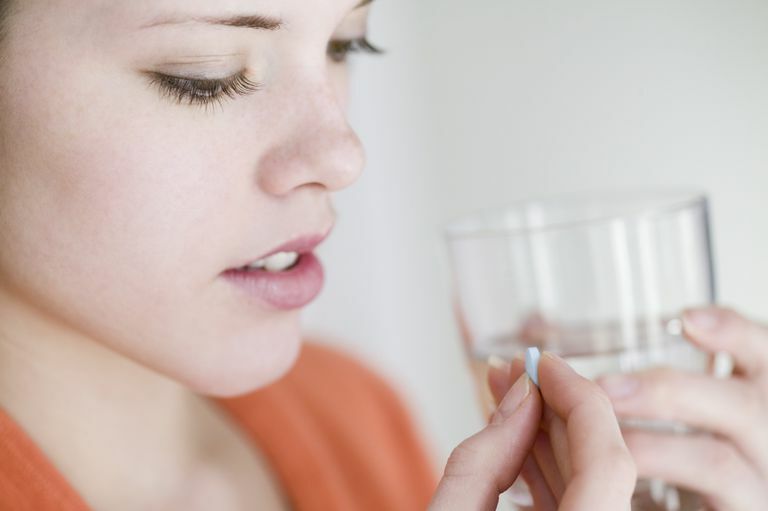 Although helpful for many children, actually getting them to take their medicine each day can often be a struggle, especially since ADHD medications have mainly been available in pill and capsule form. Drinking coffee isn't the alternative to pills we are talking about, although it does highlight some of the alternative ADHD treatments that some parents try. Giving children with ADHD caffeine isn't a new idea. A 1975 study in the American Journal of Psychiatry looked at caffeine, methylphenidate (Ritalin), and d-amphetamine (Dexedrine), and found that while caffeine was not better than placebo in treating children with ADHD, both prescription drugs did provide a significant improvement over both placebo and caffeine. Altogether, it looks six controlled studies were done on the effects of caffeine in children with ADHD in the 1970s, and they did not show convincing evidence of benefit. An article in Experimental & Clinical Psychopharmacology even suggested that "Caffeine appears to slightly improve vigilance performance and decrease reaction time in healthy children who habitually consume caffeine but does not consistently improve performance in children with attention deficit-hyperactivity disorder." It is important to realize that caffeine is a drug too, though. It is well known to be addictive and to cause withdrawal symptoms in many people. So, although it might be considered an alternative or non-standard treatment for ADHD, it isn't necessarily natural. And it doesn't work, so let's look at some other alternatives to ADHD medicines for kids who can't swallow pills. There are now plenty of alternatives for parents who can't get their kids to swallow pills and capsules. No, it isn't Daytrana, the Ritalin patch that people have been talking about for years. Instead, it is a long acting liquid version of Ritalin available as an oral solution. Quillivant XR was approved by the FDA in 2012 for children between the ages of 6 and 12 years with ADHD. The recommended starting dose is 20mg and since the concentration is 25mg per 5 ml, that would be equal to 4ml or a little less than a teaspoon. The dosage can then be increased by 10mg to 20mg each week until it is either working well or you begin to see too many side effects, up to a daily dosage of 60mg. If it is too hard to get your child to take a liquid ADHD medication, there is another alternative, an orally disintegrating tablet. Adzenys XR ODT is an amphetamine-based extended release orally disintegrating tablet approved for kids with ADHD. Available is 3.1 mg, 6.3 mg, 9.4 mg, 12.5 mg, 15.7 mg, 18.8 mg tablets, the recommended starting dose is 6.3mg in the morning, with a maximum dose of 18.8mg. But remember that getting kids to take Adderall XR or Focalin XR, both of which are available as capsules that can be opened and sprinkled on foods, isn't usually that hard. And Vyvanse capsules can simply be opened and mixed with water. Having more options can be helpful, though. If your child has a hard time taking ADHD capsules, even when you open them, ask your pediatrician about the liquid, ODT, and chewable forms of these medications. At least until they learn how to swallow pills. American Academy of Pediatrics Clinical Practice Guideline. ADHD: Clinical Practice Guideline for the Diagnosis, Evaluation, and Treatment of Attention-Deficit/Hyperactivity Disorder in Children and Adolescents. Pediatrics. 108(4):1033. Are Your Child's Allergy Medicines Not Working?